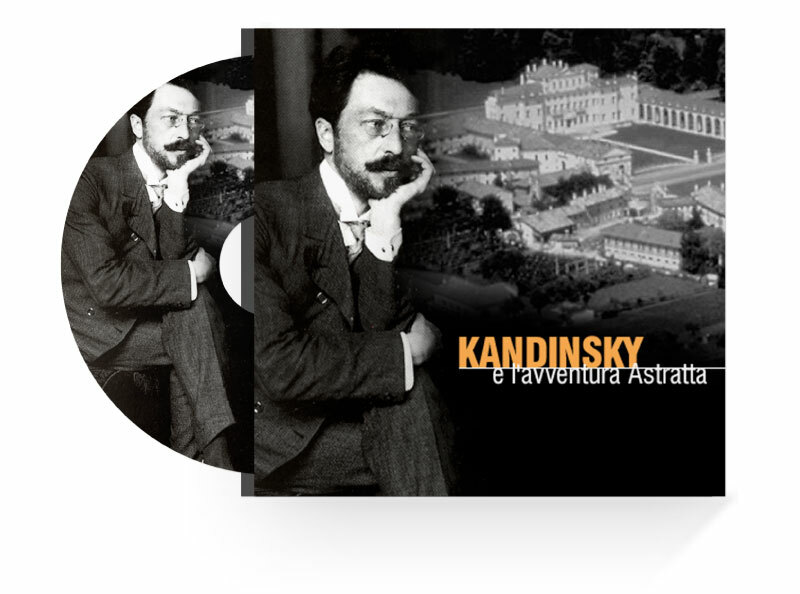 Commissioned by Friuli Venezia Giulia region and sponsored by Peggy Guggenheim Collection, the project was born with the intent to present the works of the famous painter Kandinsky during an exhibition held in the Venetian Villa Manin. 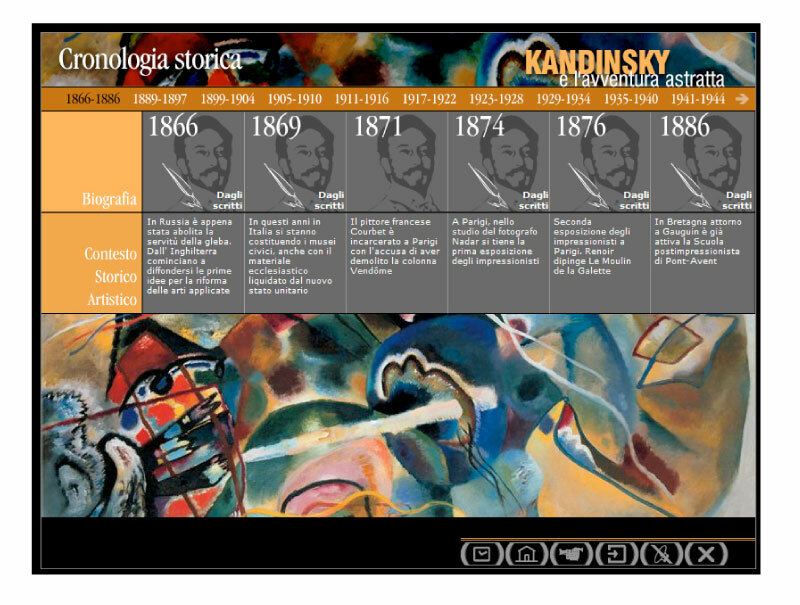 The multimedia cd-rom, available for the visitors of the exhibition, shows the story of the artist and his works in a chronological sequence and with an interactive approach. It includes images and detailed technical sheets related to the author’s biography and to the different historical periods. 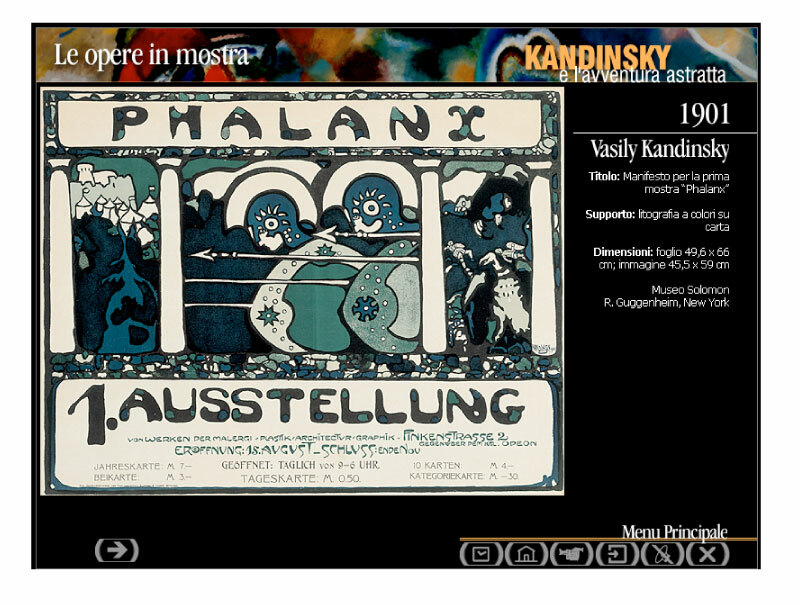 The videocatalogue comprises a wide range of images, a presentation video and allows the user to reach information details through multiple browsing paths.